The woman who died in a fatal collision in Harrogate on Sunday, August 14, has been named as Carol Jones, a serving member of North Yorkshire Police. Acting Chief Constable Tim Madgwick said: “We are all devastated by the tragic loss of a valued member of the policing family. "Our friend and colleague Carol Jones served her community with commitment, integrity and enthusiasm – embodying the values of the police service that we hold so dear. 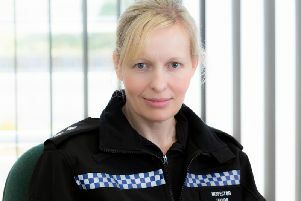 Ms Jones, 50, was a serving member of police staff, based at Harrogate.